This is an era of extreme advancements in technology, especially in communication. We are always connected with our friends, relatives and colleagues. We convey our messages and also await a confirmation that they have reached the intended recipients. We panic if the communications are not reaching the person at the other end. If there is a fluctuation in the internet connectivity or network slow down, we lose our patience. Having all connections set right and if the person at the other end is not responding, there is again a turmoil. 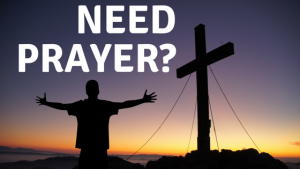 Alike worldly communications that are crucial for personal and business needs, a spiritual connection with God is vital to a Christian journey. When we look at the scriptures about prayer, Prophet Daniel’s life is a distinctive instance in the Old Testament. Being a true believer of a different faith, he did not fear the authority nor expressed any sign of fright. In any adverse situation, he did not flutter in his decision and had no wavering state of mind. The prime reason is that he had a steady and a firm relationship with God. People of God in the Bible had unique attributes for a strong relationship with the Almighty. For Daniel, it is his determination in things next to God. In a particular scenario, he was praying steadily for three full weeks. Having a high ministerial responsibility in Babylon, he purposely scheduled his prayer time. He did not get an answer to his prayer until the twenty-third day. He continued to pray even though he had no sign of the answer. He sustained his prayer, without worrying and he expressed no frustration. This indicates his determination in his spiritual endeavour. The beauty of communication with God is the communication itself. Though the answer is a solace for the struggle we face, the prayer itself is the most beautiful experience for any believer. This was experienced by Moses during his forty days of communication with God at Mount Sinai. The people saw Moses with his countenance glimmering because of the glory that filled him during his communion with God. We read, “Daniel prospered in the reign of Darius and in the reign of Cyrus the Persian” Daniel 6:28. Being empowered will all these great cloud of witnesses around us, let us also prosper through our communication with God. Beautifully written. Very true. Until we communicate with god we will be strengthened. Response from him could be delayed but never denied. Keep up the good work. God bless you. Prayer isa beautiful way to communicate with our Lord. It strengthens you and bring you peace and joy. Copyright © 2019 World Wide Web Outreach. All rights reserved.